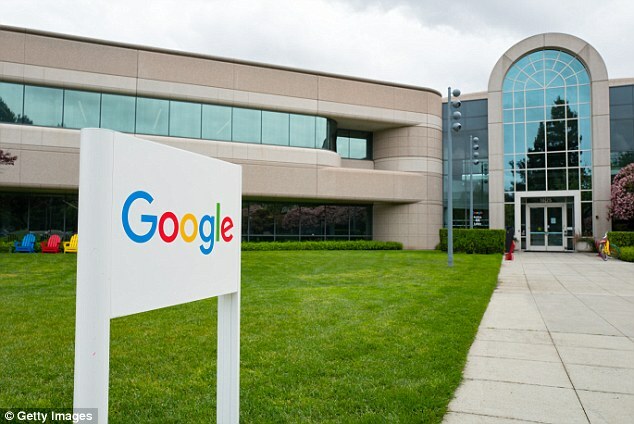 Google employees discussed leveraging their influence over the internet to promote pro-immigration websites after President Trump imposed his controversial travel ban last January, it has been revealed. In an email chain obtained by The Wall Street Journal, the staff members - who were not named - talked about the 'importance' of promoting the websites, such as the ACLU, so that internet users could donate to them. Their plan did not go into effect after warnings from executives that it was a 'highly political' issue which they should not be seen getting in the middle of. 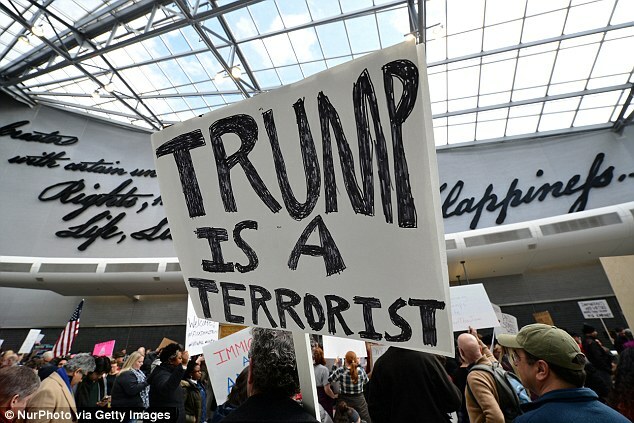 The emails were written on January 29, two days after Trump implemented his ban on travel to the US from seven Middle Eastern and African countries. They considered going to similar lengths for 'Mexico, Hispanic, Latino', etc. They suggested using Highlights - an experimental feature Google has tested which allows certain sites or people to post updates that appear directly in search results.The employees wanted to implement highlights from the State Department, the Department of Homeland Security and the American Civil Liberties Union in this case which spearheaded the fight against the ban and raised millions of dollars through donations. But another warned caution, saying: 'Very much in favor of Google stepping up, but just have a few questions on this including how partisan we want to be on this. 'To the extent of my knowledge, we’d be breaching precedent if we only gave Highlights access to organizations that support a certain view of the world in a time of political conflict. Google would not reveal any of the employees or executives' identities on Friday and did not say whether anyone had faced discipline over it. A spokesman told DailyMail.com the emails indicated a 'brainstorming' session and that it was always fair and equal. 'These emails were just a brainstorm of ideas, none of which were ever implemented. 'Google has never manipulated its search results or modified any of its products to promote a particular political ideology -- not in the current campaign season, not during the 2016 election, and not in the aftermath of President Trump’s executive order on immigration. 'Our processes and policies would not have allowed for any manipulation of search results to promote political ideologies,' the spokesman said. 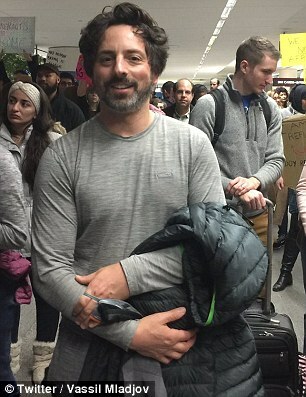 It was one of many companies which publicly stated its disapproval of the ban and one of its co-founders Sergey Brin has attended anti-Trump rallies on the issue in the past too. The company's CEO, Sundar Pichai, is also an immigrant.